If you have received notice that the government is using eminent domain powers to take land you own, it is critical not to simply sign papers or give up hope. You have more rights than you may think, and we encourage you to contact us to talk through facts, possibilities and legal options. Eminent domain gives government entities broad authority to take private land for public use. However, the law is on your side when it comes to getting a fair price for your land— or fair compensation if the taking reduces the value of property you still own. In Florida, you have the right to hire a qualified lawyer and other essential resources you choose at the government's expense. Tampa area Attorney Eric T. Taylor not only has the legal knowledge to protect your rights as a property owner, he has significant direct experience in multimillion-dollar eminent domain cases involving the Florida Department of Transportation (DOT) and other government entities. It is essential to obtain an appraisal of your property that reflects its highest and best use. For example, an existing Tampa, Florida, home on a large lot may be worth $300,000 if offered for sale as-is, but significantly more if the lot were sold for town home development. Even street-widening and utility projects that take a small piece of your land may entitle you to significant compensation, based on how much the value land remaining in your possession is reduced. Construction, changes in traffic levels and other factors may impact safety and livability for entire communities. Experts we enlist can substantiate projected damages over time. Land use regulations, zoning and other considerations may come into play in your case. We will bring in the best specialists available to help defend your property owners’ rights and fight for the best price possible. You may prefer to work with an accomplished black lawyer, or you may communicate best in Spanish. 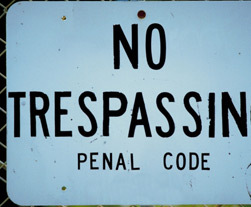 In either case, you can contact our law office to handle every aspect of your eminent domain matter and aggressively defend your property owners’ rights — without taking any added financial risk of your own.Allow us to help you the same way we have helped property owners in Tampa, St. Petersburg, Clearwater, Brandon, Lakeland, Bradenton, and Sarasota. Call our law offices today at 813-259-4444 to learn more.